TONI&GUY stands head and shoulders above the hairdressers in Camberley. As a salon we pride ourselves on offering the highest standards of hairdressing. Members of our salon have worked alongside the TONI&GUY Session Team on catwalk shows at London Fashion Week, bringing the latest trends from the catwalk to our clients. As a L’Oreal Colour specialist salon we boast a very experienced and creative technical team, winning regional competitions for the South Eastern area. 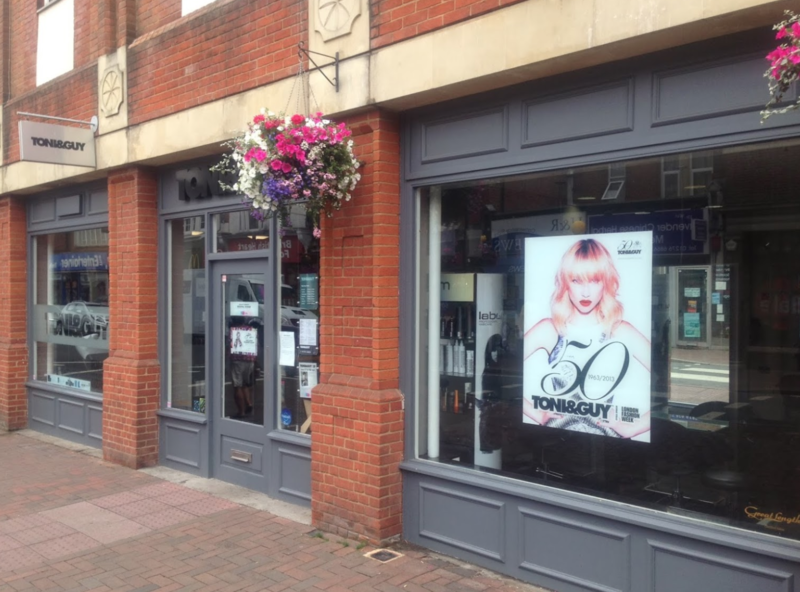 We have proved amongst our peers to be amongst the best hairdressers in Surrey. We offer additional services such as Bridal and Occasion hair, and the semi-permanent blow-dry treatment, Nano-Keratin for smooth manageable hair. Our product specialists will be on hand to give you expert advice on our many product ranges including label.m professional, GHD and Kerastase to ensure your hair stays salon perfect until your next visit. Sooo pleased with my hair. Ashley was lovely. I'm a "mature" lady who's been growing her hair for 11 months. He turned my shaggy mop into a lovely hairstyle that i can now wear down instead of the obligatory pony tail. Toon has cut my hair regularly for the past couple months. Great skills, good attention to detail and very friendly. Wouldn’t go anywhere else now! I have been a few times in that brunch, they were kind to fit me in same day. Unfortunately they are not capable dealing with your thick or wavy hair, cannot do blow dry at all., seems like everybody should have same type of hair. If you have a fine thin hair it is okay.Friendly staff with average skills. Had my hair done yesterday. lovely friendly salon, great service and brilliant haircut. Will recomend.